Planning to have Mobile App for your business? Contact CodExperto !! As we all know More people are using mobile devices or smartphones than ever before. In fact, the days are not very far when the number of people accessing the web using a mobile device will surpass all other devices together. we at CodExperto provides a mobile app solutions for business to overcome the change in user behavior to access the Internet. We know that mobile devices have become indispensable and your company needs to be prepared for that. In a sense, to reach mobile users, companies are prepared to face reality and benefit from the change that defines the era. As a result, we have a expertise team to develop a wide range of apps for smartphones and tablet. We are ready to build custom-made apps that is domain-specific and also focud on unique needs of your brand.Our objective is to give a smooth mobile experience to the target audience. We have a team of designers, developers, and usability specialists to take advantage of various mobile technologies and provide the range of mobile app development services. 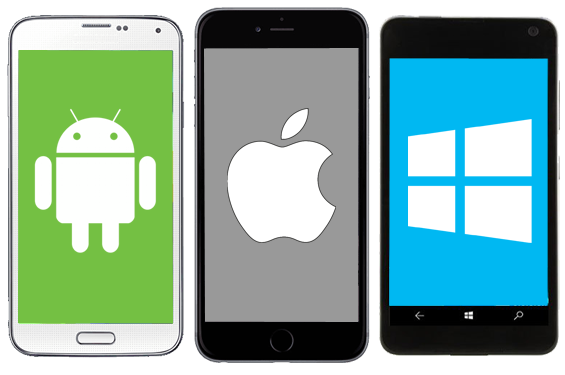 As smartphones are changing, We are capable to develop the latest versions of Android applications to make your user's experience better on different types of Android devices. Beat the market with impeccable, robust applications. Let your Ios App interact with your customers on Apple devices. Design, develop and deploy exciting and interactive unique smart applications. Connect with millions of users to increase revenue with quality, performance-based IOS apps. Take advantage of the advanced functionality of the Hybrid app with our coding expertise in integration and strategy techniques. Our experts provide the ergonomic development of a hybrid app interface for a better experience. First, we evaluate your online goals and then start the UI design and development. We are committed to providing you with 100% unique and creative app solutions to help you execute your business plans with ease. We offer a customized UI Design according to your business module, with an easy-to-use and effective user interface. Each step of our team is aimed at providing an attractive, interactive and also valuable experience for the end user, which results into an increase in sales and revenues. Our team can help you to have all the functions installed on your app such as payment gateway, newsletter, shipping function for e-commerce and much more. Do not hire us! just talk to us and have a clear idea to make your business online, get a plan from us and then decide to hire it or not.